Student Achievements|Dr. D. Y. Patil Vidyapeeth, Pune|Dr. 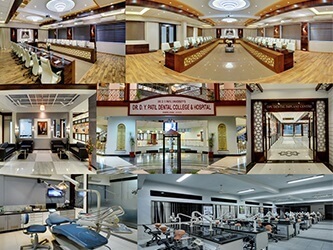 D. Y. Patil Dental College & Hospital|Pimpri, Pune-411018. 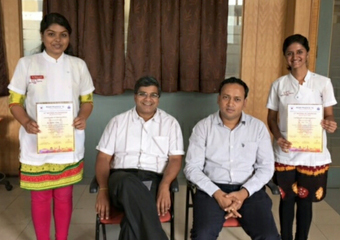 Dr Snehal Shep and Dr. Dipti Patil, post graduate students of Department of Pedodontics and Preventive Dentistry, have been awarded second prize for presenting a Short Film in the category "Oral Health Care in Special Children", titled "Special Children, Special Needs, Special Care" at Pedo Pearls'16, 13th National PG Convention, conducted by ISPPD (Indian Society of Pedodontics and Preventive Dentistry). They were guided by Dr. Rahul Deshpande and Dr. Vishwas Patil. The PG Convention was held in Hyderabad on February 26th and 27th, 2016. There were 37 short film entries for the competition out of which 15 films were in the "Oral Health Care in Special Children" category.